Home / breaking-news / touche amore / Touché Amoré premieres live video for "New Halloween"
Touché Amoré premieres live video for "New Halloween"
Two days before the release of the "10 years/1000 Shows - Live at The Regent Theater" live album, Touché Amoré premiered the live video for the song "New Halloween". A particularly intense moment from that night was Touché Amoré’s performance of “New Halloween” which is charged with painful and powerful energy. 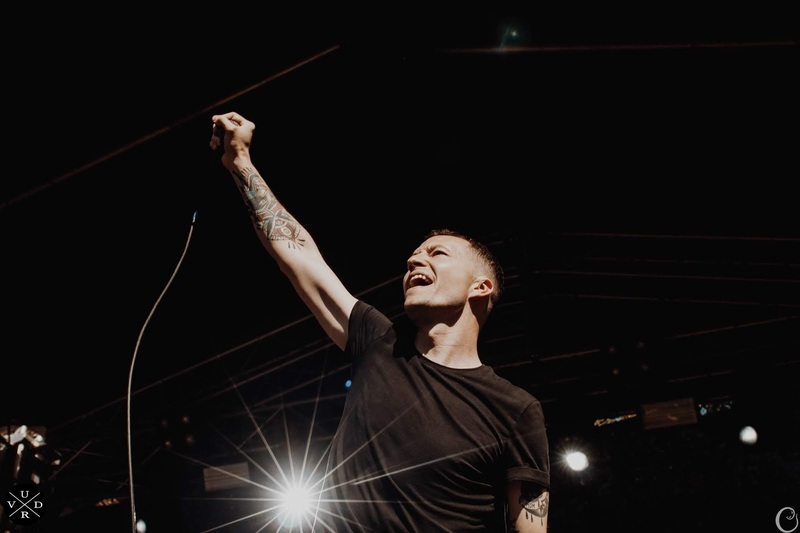 In its raw expression of unbearable loss, the song centers on the death of frontman Jeremy Bolm’s mother, who passed away on Halloween 2014 while the band were playing THE FEST in Gainesville, Florida. The original version appears on Touché Amoré’s acclaimed fourth studio album, "Stage Four", released in September 2016.